Welcome to the exciting world of the private investigator. Regardless of whether you want to hire a private eye, become a private detective, learn about new tools or trade secrets as a working investigator, or are just fascinated by this interesting profession, all the information you will ever need is right here. Private investigation is a diverse vocation, encompassing criminal and civil cases that are handled by both law enforcement and private-sector specialists. There are many focused disciplines in the detective arts including bounty hunters, repossession agents, bail bond enforcement specialists, police detectives, paramilitary contractors, private security operatives, forensic experts, bodyguards and legal process servers. Investigative specialists can perform a staggering variety of services for their clients, ranging from surveillance to trial preparation to background checks to skip tracing. Are you thinking of starting a career in private investigation? This web resource explains the training and licensing requirements at each step of your professional development. The site also provides business advice to private eyes who are looking for ways of expanding their present service offerings, growing their client bases and making more money. We also teach detectives the skills they will need to satisfy the most discriminating customers. Professional investigation equipment is always evolving to meet the demands of field work. Our experts keep you up-to-date on the latest trends in the detective gear industry. We also explore the world of business and home security, including the products and services which keep us all safe. All of our topics appear on the navigation bar. Each main resource section is further divided into detailed dialogs, which helps readers to find the exact information they require. If you cannot find what you are looking for, we have provided a search tool that can locate any word or phrase on this website. Searching the site will provide access to all of our articles, making your quest for information super easy. As a former professional trial preparation specialist, with years of solid work experience in the premier private investigation marketplace in the world, New York City, I head up an editorial board that is composed of some of the finest detectives in the business. If you are looking for any information about the private investigator profession, you have come to the right place! Help readers better understand exactly what private investigators do. 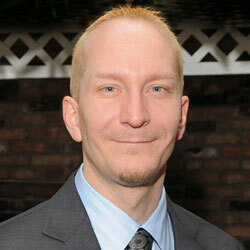 Assist readers in finding an investigator who meets their needs. Teach about various methods of entering into the detective professions. Categorize and explain all the niche investigation professions. De-mystify the investigative arts, by separating fact from fiction. Explain the legal use of private eye equipment and surveillance tools. 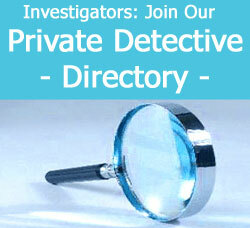 Provide information on a variety of private investigator associations. Document the history of investigation and detectives in the media.